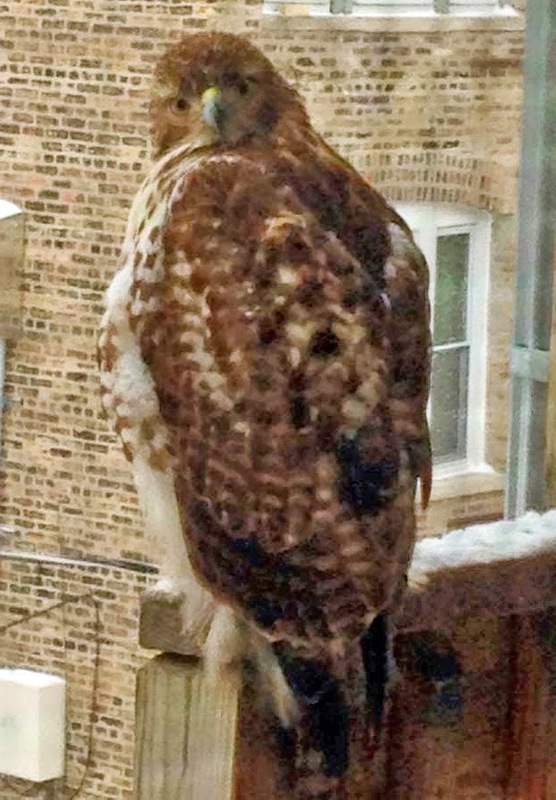 Reader Luke Porcaro posted this photo on UU's Facebook page, and said, "City hawk on my neighbor's balcony right now! He's lookin' right at me." We're not ornithologists, but we suspect it's a Cooper's Hawk. In any case, it's so cool when wildlife come a-calling.